If you are at least 15 years old and need a Job, we have a wonderful opportunity for you… Lifeguarding! Aquatic Solutions was ranked in 2017 by the American Red Cross as the # 1 authorized provider in aquatics and will likely be again for 2018. 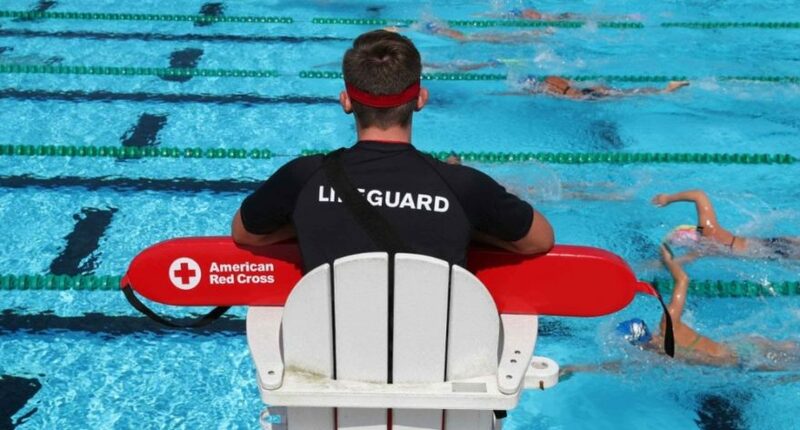 Being an American Red Cross Certified Lifeguard opens you up to many rewarding opportunities and the pay for Lifeguards has never been higher than today. By taking the American Red Cross Lifeguarding class with Aquatic Solutions you will be considered having a “Gold Standard” for your training. Aquatic Solutions Lifeguards are in great demand because of the high quality training we provide and the real world preparation we instill in our Lifeguards. You as a lifeguard will be well prepared for that guard chair. Our students have virtually no issue finding a Lifeguard position with minimum pay at around $16.00/hr reaching towards $20.00/hr and more at some places. We also offer internal staffing services for full and part time work as they are available with our partner facilities. Aquatic Solutions offers reasonably priced classes and all of our Lifeguarding classes include CPR/AED for the Professional Rescuer and First Aid certification AND includes a Pocket Face Mask combo set (Adult and Pediatric masks) that are YOURS to keep. We also offer an optional Waterfront Lifeguarding add-on module for people who love the beach, sun and surf! In addition, if you live in Nassau County NY, we also offer a course to help prepare individuals for the Nassau County Certifications. 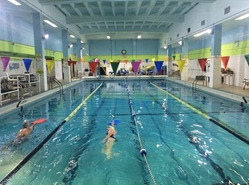 Registering for a Lifeguarding class in New York is easy on our website. Feel free to ask a question and get the accurate answer quickly on our live chat that is staffed with Lifeguarding Instructors and Instructor Trainers who eat, drink and swim this business! We offer numerous offerings and locations as well as the best group of Lifeguarding Instructors who make every class an enjoyable and fun experience. We also have regular discounts for our classes and our website is very mobile optimized so you can book the class from your phone. You are just a click away to a great career that is not only fun but pays incredible. Register today for our American Red Cross Lifeguarding course, an amazing Aquatic Solution for your employment for years to come!! Also, after you lifeguard for a while you can think about becoming a Lifeguarding Instructor and maybe work with us! The American Red Cross and the American Heart Association (AHA) are both committed to preventing deaths from cardiac arrest through its educational programs and public awareness; these two organizations provide more people with knowledge on CPR and advocates for increased and continued CPR funding and resuscitation methods. CPR educational programs from both organizations (AHA & Red Cross) corresponds with the recommendations in the most current and comprehensive review of published resuscitation literature: the 2010 International Consensus on Cardiopulmonary Resuscitation (CPR) and Emergency Cardiovascular Care (ECC) Science with Treatment Recommendations. As leaders in CPR education, both at national and international level, the Red Cross and the AHA are releasing a joint statement that emphasizes that CPR educational programs from both organizations are valid scientifically and demonstrates the most current and effective methods. 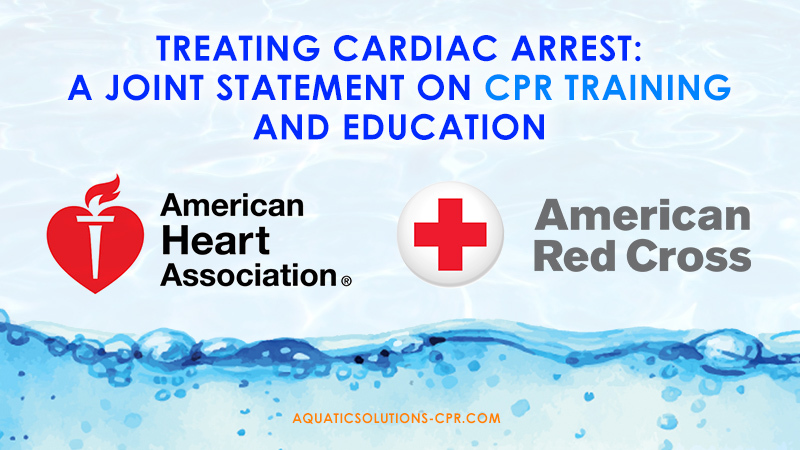 Although both programs form each organization on CPR aligns with current methods of resuscitation, there are minor variations in their methods of approach for assessing victims as well as treating cardiac arrest in kids and special situations like drowning. How the methods of approach and assessment vary is dependent on the experience level of the potential rescuers and the type of victims they come across. The Red Cross and AHA have separate educational materials and CPR guidelines. However, CPR guidelines and training materials developed by both bodies are scientifically valid, making sure all individuals receiving education and training are up to date with current methods. According to evidence of improved results, both bodies (AHA & Red Cross) emphasizes on the relevance of the chain of Survival; these include early recognition of cardiac arrest, early activation of emergency response, early CPR, rapid defibrillation, effective advanced life support, and integrated post-cardiac arrest care. Both organizations agree that the right method of assessment is described better using the A-B-C sequence; Airway, Breathing, and Circulation. Both organizations recognize how important it is to modify the approach when educating people on assessment; this is dependent on the abilities of the providers receiving training as well as the illness and injuries they may come across. Rescuers are taught by the Red Cross to open the airway, check for breathing, and also check for unresponsiveness and absence of regular breathing as indicators of cardiac arrest. For rescuers who may experience injuries and illness that are different from the usual, this method makes it easy for them to identify and address all life threats. Both organizations agree that early and effective chest compressions can improve the outcome of cardiac arrest victims who are adults. Thus, when cardiac arrest is recognized in adults, CPR must start first with compressions followed by For students to recall the appropriate sequence of steps for CPR, the mnemonic C-A-B (Chest compressions, Airways, Breathing) should be the general method to CPR performance. Pediatric CPR educational programs from both organizations (Red Cross and AHA) are designed in accordance with the most current resuscitation science. Nevertheless, due to the dissimilarities in the scope of the target audiences, the training programs, and the kind of illness or victims the trained providers and rescuers may encounter, the methods of educational differ. The AHA teaches a universal approach on how CPR is performed for victims under cardiac arrest. The Red Cross educate students to provide two breaths to drawing victims, and pediatric become commencing the C-A-B sequence for CPR. Both organizations agree that despite the variations in their approaches for assessing victims and treating cardiac arrest, both methods are valid and conform with the 2010 International Consensus on CPR and ECC Science with Treatment Recommendations. Both organizations, the American Red Cross and the American Heart Association (AHA) have a mutual interest to improve the results following cardiac arrest by providing people with knowledge on CPR and also to advocate for increased and continued CPR funding and resuscitation science. Aquatic Solutions offers professional emergency training that deals with CPR/AED and First Aid. Visit our schedule tab to see all of our available classes. Servicing all of Long Island, Queens, and New York City.